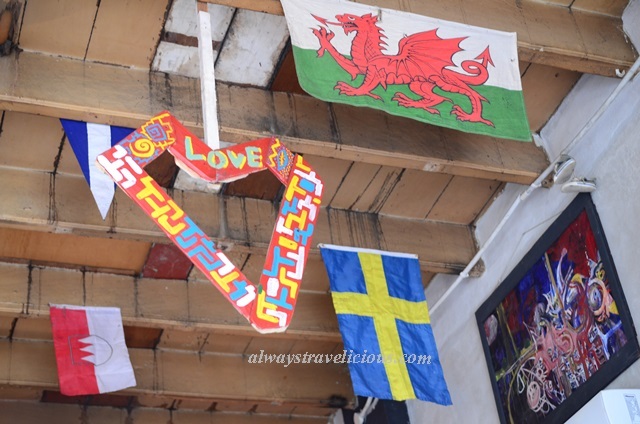 Chokodok Reggae House Cafe @ Ipoh, Malaysia - Always Travelicious ! Chokodok Reggae House Cafe & Backpackers is an eye catching piece located on Hugh Low Street just opposite the police station. 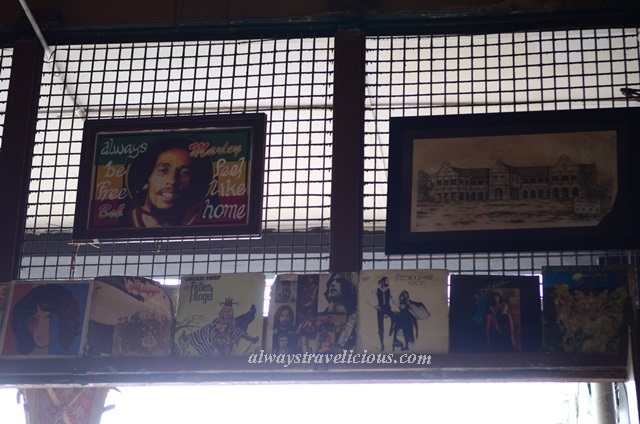 The facade is painted with representative colors of green, yellow and red, also found in the cafe itself with images of the late, phenomenal Reggae singer Bob Marley. It’s a halal cafe so it’s good news to our Muslim friends as a good number of cafes in Ipoh are pork free or non-halal. 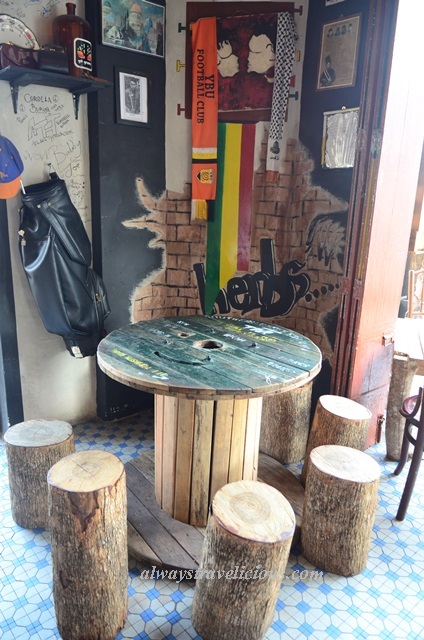 With an eclectic mix of DIY wood furniture, bamboo furniture, old-fashioned floor tiles, Chokodok has that chillaxing atmosphere, like the kind you feel when you hear reggae music. Even the dudes that work there seem to be taking things easy. It was too bad that there was no reggae music being played to complete the whole reggae mood. 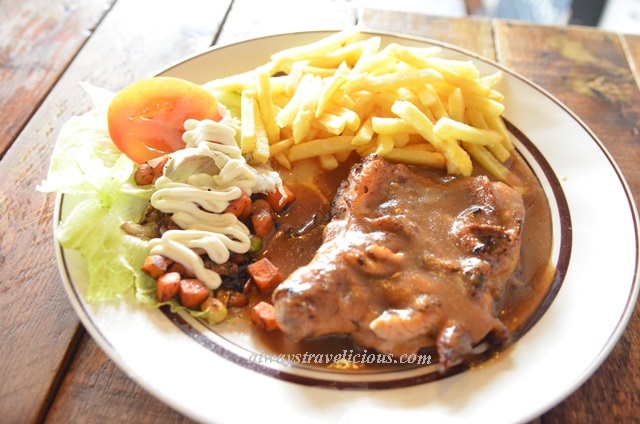 Chokodok serves a mix of Malaysian and Western cuisines like nasi goreng, nasi kampung, burgers and chicken chop, fairly reasonably priced without any addition charges for tax and service. 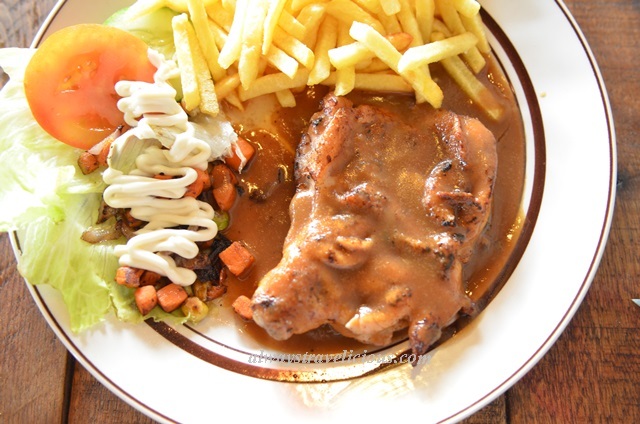 I wanted to try the nasi goreng but it was unavailable during my visit so I resorted to the chicken chop (RM 19) which is a decent piece of succulent meat that’s lightly charred and topped with peppery gravy. Milo (RM 3) can’t go wrong because it’s Milo, but I should have told them no sugar. I was at the cafe at about 6 pm, which was still quite hot. Other than that the experience was an enjoyable one. Looking forward to try the nasi goreng there at night when it’s much cooler. Enjoy more photos of the the cafe interior below. Opening Hours : 5.30 pm to 12 am. Very cool. We were in Jamaica for two years (as Peace Corps Volunteers) and it’s really neat to see how the culture and music from such a tiny island has reach around the world. Thanks for sharing. Nah.. Not the time I was there. Hi Rose. You’ll have to contact the owner of the cafe. Thanks. As salam tuan,sya mewakili team [email protected] prima ingin membuat penggambaran ditempat tuan pada 6 hb april 2015 lebih kurang pukul 7 pg- 10 pagi,ini adalah anggaran masa yg diperlukn utk shooting di premis tuan.program ini akan di siarkn pada bln ramadhan di astro prima dan maya hd.host kami iaitu farah af akan membuat satu scene di premis tuan.penggambaran ini berdasarkan program hajat.terima Kasih,semoga team hajat dpt memberi publisiti kepada chokodok raggea cafe…pihah tuan boleh hubungi sya ditalian 013 6343321. Got Shisha there ? What time is the bussiness hour for Shisha ? Nak tanya. Dkt area Chokodok Reggae House ni ada hotel punya 3D art tak?